The Blade Runner of Westerns. Writer-director Jim Jarmusch aspired to be a poet in his younger days, before he was drawn into cinema by an apprenticeship with filmmaker Nicholas Ray (Essential Movie Library #53), who loved that his protégé belligerently did the opposite of whatever Ray recommended. As much as any picture, Jarmusch’s Stranger Than Paradise in 1984 launched the American independent film movement of that decade and the one that followed. 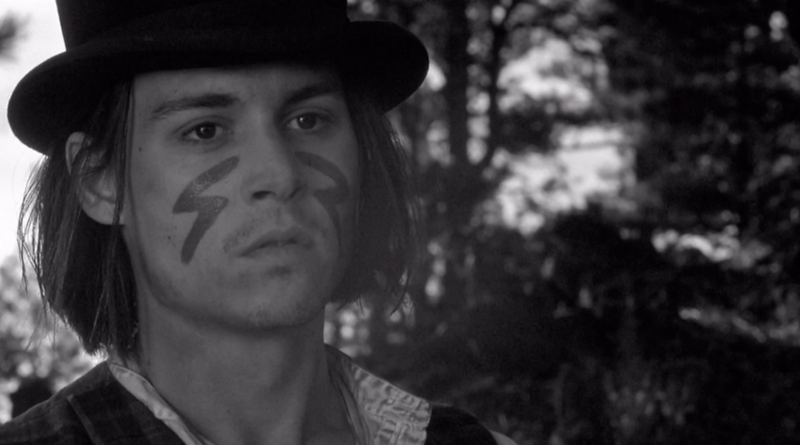 Wedding the filmmaker’s low-fi punk sensibility to a visionary scope, Dead Man is a frontier meditation on the songs of innocence and experience composed by William Blake, whose name Johnny Depp’s character, an accountant from Cleveland on his way to a town called Machine, shares without the slightest comprehension. A vortex of a movie, hallucinatory and sui generis despite its genre, its rites of beautiful and bestial passage demarcated by Neil Young’s lysergic guitar rumbling like Mojave thunder, Dead Man was released to the predictable cluelessness of mainstream critics. In Jarmusch’s picturethe “past” seems to exist outside time. As Depp glides toward a horizon whose secrets only a nomadic Native American named Nobody can grasp, all the temporal fields that hold together history break down, memory’s compasses spinning wildly and one incarnation of the country blurring into the next until—by the time he reaches the farthest shore—America has run out altogether. Shot by the great Dutch cinematographer Robby Müller, the shimmering black-and-white landscape is part charnel house and part delirious paradise, bones and bodies piled against lush trees beneath a sky the size of dreams.